Saturn Trader is a platform which gives complete freedom and flexibility to the user. The platform enables a trader to trade from any part of the world 24*7. 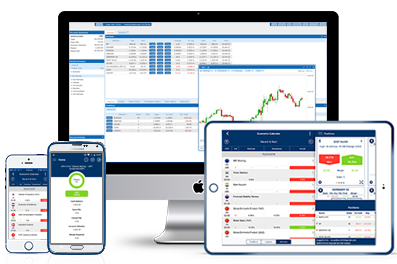 With options to trade over thousand equities, indices, commodities and FX pairs we offer a comprehensive and compact platform form our users. With the high efficient application for Android and ios platform, a user can access everything on the go using smartphone or tablet. Fund your account, pull out statistics, manage positions and many more integrated options. Having difficulty in finding the app, or facing compatibility issue? No worries, we offer a versatile web application for our users. Saturn trader allows you to customize your trading screen, with the features you find most useful.